The Men's Alpine Action Jacket utilises Columbia's Omni-Heat thermal reflective and Omni-Tech technology to help keep you warm and dry when you are out in the elements. The Omni-Heat Thermal Reflective technology helps to keep you comfortable thanks to tiny silver dots that reflect and retain the warmth your body produces, the breathable material also dissipates moisture and excess heat in order that you don’t become too hot. The Omni-Tech shell allows you to stay dry in wet conditions and works in conjunction with the Omni-Heat thermal reflective lining to ensure great breathability to help keep you comfortable throughout the day. 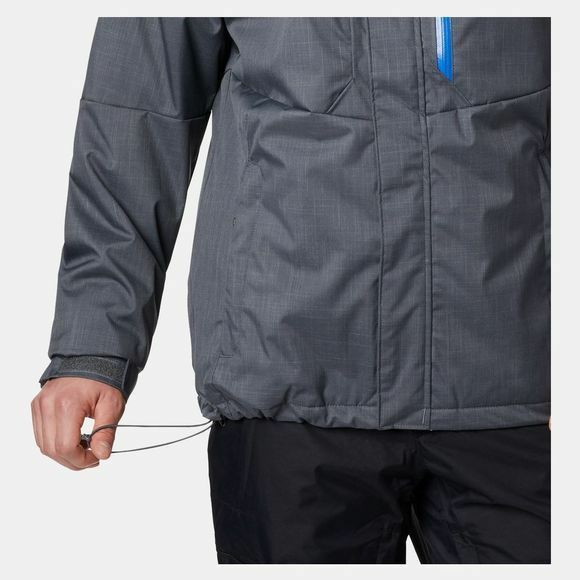 The hood on the jacket is adjustable and can be removed completely if desired while the drawcord adjustable hem and adjustable cuffs are great for sealing out cold drafts. 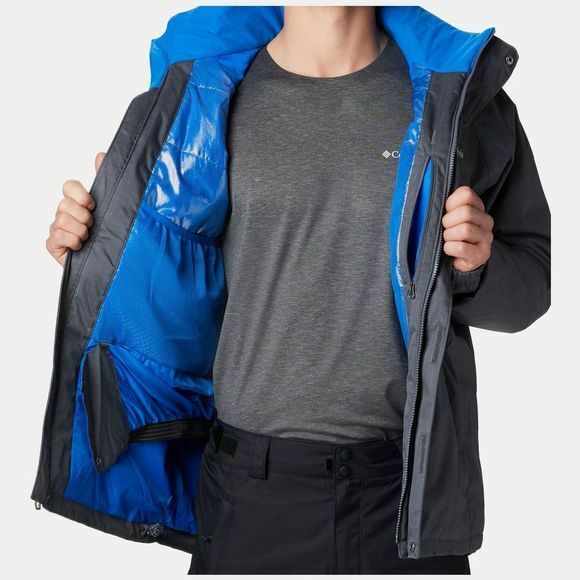 There is a zipped interior pocket and three zipped outer pockets which are great for keeping essentials safe and close to hand and a small ski pass pocket sits on the wrist for convenience. Also inside the jacket there is a large goggle pocket in order that you can keep them safe and scratch-free when you aren't wearing them. A drop tail on the rear of the jacket offers a better scope of protection while adjustable inner comfort cuffs and the adjustable snap-back powder skirt are great for stopping stray powder from travelling up your sleeves and back.